Why would I need self storage in Hillsboro, OR? There are a variety of reasons why you might need self-storage in Hillsboro, OR. How much is a storage unit in Hillsboro, OR? The cheapest storage unit in Hillsboro, OR is $26.00 per month. What size storage units do you have available in Hillsboro, OR? In Hillsboro, OR we have sizes that range from 3'x5' to 10'x30' to suit your storage needs. How much is it for a 3'x5' storage unit in Hillsboro, OR? The cheapest 3'x5' storage unit in Hillsboro, OR is $26.00 per month. 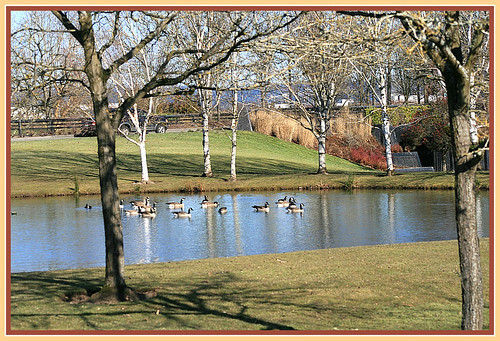 Hillsboro is a vibrant city nestled in Oregon's Tualatin Valley, on the banks of the Tualatin River. Part of Washington County, the city lies just 17 miles from downtown Portland. It's known as a major hub for high-tech business, hosting large companies such as Intel. The city of Hillsboro was named after David Hill, one of the area's first settlers. Pioneers began settling in Hillsboro in the 1840s, and the city grew in line with new transport infrastructure. Riverboats began traveling down the Tualatin River in 1867, and just four years later, the Oregon and California Railroad arrived. In 1908, the Oregon Electric Railway connected Hillsboro with surrounding areas, fueling the city's growth and development. The city saw impressive growth over the 20th century, multiplying its size many times over with each passing decade. In the 1950s, there were about 5,000 people in Hillsboro, but more than 100,000 people called the city home by 2015. Hillsboro is home to a thriving arts and culture scene, which includes the Oregon Chorale, the Hillsboro Symphony Orchestra, the Walters Cultural Arts Center and the Hillsboro Actors Repertory Theatre. A free summer concert series called Showtime at Shute further adds to Hillsboro's cultural fabric. Local wineries, golf courses and more than 20 parks are among the varied outdoor spaces in the town. The local population has swelled considerably as more people discover the city's strong economy, excellent recreational facilities and beautiful surroundings. Hillsboro is in the heart of Oregon's technology region known as the Silicon Forest. A variety of innovative businesses, including advanced manufacturing, bioscience, software, food processing and semiconductor and electronics manufacturing firms, are represented in Hillsboro. Roles for programmers, developers, engineers, analysts and other tech-focused positions are common at the local arms of prominent companies including Intel, Sun Microsystems, Qorvo Semiconductor and Epson Portland. Outside the tech sector, large organizations including Nike, Wells Fargo and the Oregon National Primate Research Center also provide many local jobs. Hillsboro residents fill many of these positions, but the city also attracts a significant number of commuters. The Hillsboro School District serves the schools of Hillsboro and other Washington County locations. There are several private schools, including faith-based and secular campuses, in Hillsboro. Utilities: Portland General Electric, NW Natural and the city of Hillsboro are the primary utilities providers in the area. Garbage and Recycling: Most residential areas in Hillsboro have trash and recyclables collected on a regular schedule. Transportation: Hillsboro, like many of the cities in Greater Portland, is part of the TriMet public transit network. Despite its modern economic structure, Hillsboro has resisted becoming a concrete jungle. You'll find a number of medium-size and large family homes on generous plots of land in Hillsboro's scenic suburbs. The residential areas have an old-fashioned charm, which attracts couples, families and retirees. Although Hillsboro home prices are higher than the national average, the city is still more affordable than many areas of Portland. Our lowest priced units in Hillsboro, OR average $33.67 per month. 184 people have reserved units in Hillsboro, OR in the past 30 days. There are 3 locations within Hillsboro, OR's city limits.